This year marks the 25th Anniversary Tour for the Investors Group 'Stars on Ice' (presented by Lindt & Jergens Canada). Last year, we were lucky enough to attend the show ourselves and it was simply magical! This year, we were in the middle of moving house, so I sent a family friend from Red Deer to enjoy the show. Shelley - "The show was well done. 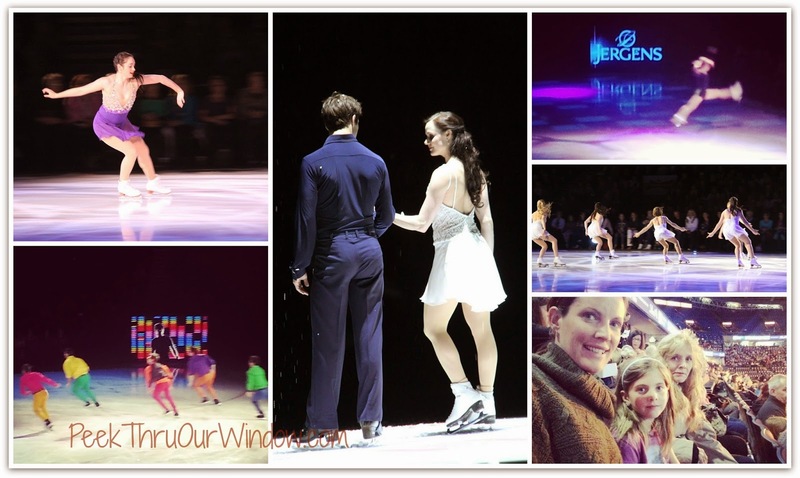 It was great having seats up close to see the skaters faces and we loved how they interacted with the audience. Both my kids loved the tricks, especially the flips from Kurt Browning and Shawn Sawyer. They really loved the fast paced dance style numbers too. My daughter's favourite part was the opening, when Kurt was dressed up like a clown and drew a giant flower in the ice. My son's favourite part was dancing along and everybody enjoyed his super loud cheering. I would highly recommend the show. I'm evening thinking about going again!" Kurt Browing, four-time World and Canadian Champion headlines the tour and is lead choreographer. What a treat! I'm sure he'll have Tessa Virtue, Scott Moir, Meagan Duhamel, and Eric Radford doing back flips and singing in the rain, lol! For tickets information, visit STARS ON ICE. To help celebrate 25 wonderful years of skating, Jergens Canada wants to help you get your skin ready for summer, with this lovely assortment of products. Follow the rules in the Rafflecopter below. Giveaway is open to all residents of Canada, over the age of 18. Winner has 48 hours to respond by email, or another winner will be selected. Giveaway ends Monday, June 15th at 12:01am MST.